It could be OEM according customers’ request with length, width, thickness and pitch(76mm or 63mm) case by case. Our customers are main sourcing U.A.E, Nigeria and other Middle-East area and they always choose 3~4 colors to combined into a 20’ of container for economic shipment, and there are 5 popular colors for choice: semi-transparent, green, red, blue, yellow. 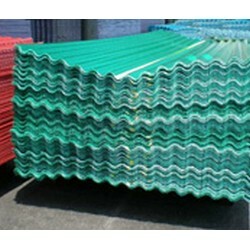 We can also manufacture the specific colors according customers’ request and samples. We are confident that we can provide professional services ensuring punctuality at reasonable prices. 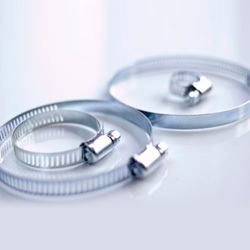 Strict standards of quality control are applied throughout production and inspection. Also will take a video before seal container to guarantee both our rights during transportation.Welcome your further information if you have any question or interested in our products. 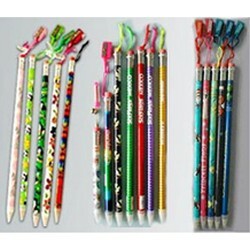 The jumbo pencils are all custom-made as per customers’ exclusive design case by case. Our products are popular in the United States that the main customers are Disney, Universal Studio… that material, quality are all pass the U.S. standards by SGS testing without the lead, Phthalate….etc components. The general package is 36pcs/white inner box, then 360pcs into the master carton directly. You can choose the printing effects as following that different printing ways make prices difference. 3	Glow in dark printing. Welcome your exclusive design that all kinds of artwork, also send your inquiry with artwork including follows that’s very important to quote the best prices to you. a)	Please e-mail your design and advise the size you need. b)	The lead is HB, 2B, 2H…. c)	The pencils needs to sharpened and have sharpener with logo print and eraser or not. d)	Please advise the marketing you will sell as we know the mainland China have the dumping tax problems. For the custom-made design that will ask the tooling and sample cost if you need some samples for approval before production. The production time for sample delivery is around 2 weeks and the goods are around 45 days, but have to re-confirm according our current production lines. Following are our exclusive design that can sell to you and no tooling cost. The printing ways are all normal paper printing (shrink printing), please advise which design you are interested and advise your ordering quantity to us. 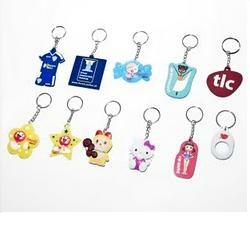 A wide of selection of key chain type with custom-made service. 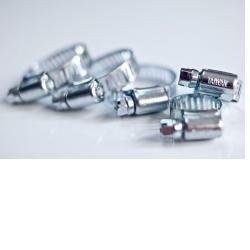 Hundred kinds of custom-made key chain, such as acrylic key chain, brass or zinc-alloy key chain ,bullet key chain, coin key chain and embossment soft magnet key chain. We aim to provide wholesaler, exporter, and volume buyer with exquisite personalized products and thoughtful personalized service. 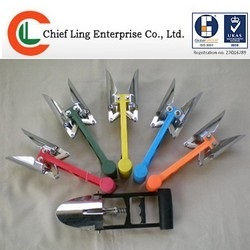 Products are made of high quality steel materials and are all 100% made in Taiwan; the products are manufactured by those modern manufacturing facilities and assembling lines, they all passed the strict quality control system before shipment in order to ensure the high quality of fastening and endurance. The shipment is arranged by the reliable forwarders and all of our customers are satisfied with our products and services. 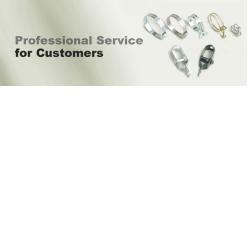 We welcome your inquiry at any time and we will try our best to serve you. Squeezemate slides on to the base of a tube and easily slides toward the opening of the tube, as the contents decrease. This action ensures easy access to product as it prevents any contents returning to the bottom end of the tube. 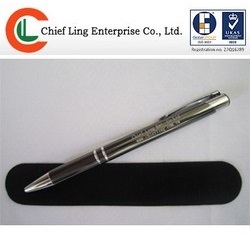 The goods can be printed your logo or design for promotional purpose. We have 3,900pcs of white and 2,000pcs of white in stock available now. Custom-Made design, for reference only. We also can make custom-made exclusive design for you. If the customer didn’t mention the exact material in his inquiry mail, we would like to provide him the suitable suggestions according to our experiences of exporting to different areas for over 15 years. We have agents in Iran, India, and U.A.E., and all the products have to be stamped on the word “TAIWAN” or have to be kept blank on the housing. For economic shipment, we would suggest customers to order one 20' container of material of galvanized steel per shipment at least (within 1,050'/20,500kgs) or increase the order quantity to meet one 40' containter (within 2,050'/23,500kgs) per shipment. After confirming customer’s inquiry, we will ask our material suppliers to check the current material cost, validity and also the current exchange rate. QC staff is checking the side marks on the master carton. For safe and smooth delivery, QC staffs not only pay much attention to the production lines but also to the packing details, such as the staffs would use the strong strapping band with # style and re-check the shipping marks on the master cartons for each order before shipment. Our products are very popular, not only we have markets in the middle-east countries, but we also have the long-term cooperative customers in Australia, Belarus, Malaysia, Nigeria, Pakistan, United States and so on. Want to find a trustworthy manufacturer and exporter? 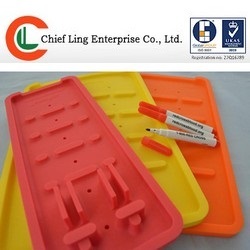 Just e-mail the inquiry to Chief Ling, we will provide you our best services with all sincerity. A high school student in Valdosta Georgia, USA had colleted 41418 unduplicated pieces of keychains since 2001. I think key chains are very “well-rounded” today. How come? Some examples are as follows. 1. Whistle key chains: They are delicate ones for souvenir. Also I think they come into great uses while encountering dangers, either for female or male. Actually, I've got one for myself too. 2. Screw driver key chains: From time to time, there come some chances for us to have loose parts of cell phone, glasses, car remote, etc. And we couldn't always bring a whole set of tool kit with us, could we? 3. 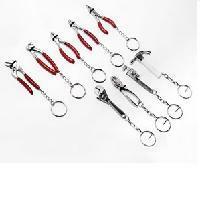 Mini puzzle key chains: In some boring occasions, they always while away these tedious times with us. 4. 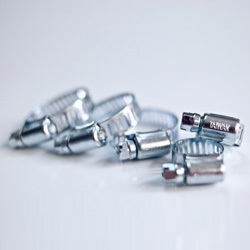 Light key chains: Led light keychain and flashlight keychain light everywhere you go. Maybe it's in the dark parking lot when you can't find your car's keyhole or in the dark basement after sudden power failure. 5. 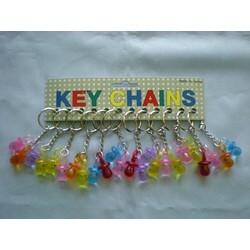 Acrylic key chains: They are mobile picture frames that you can take a look at your love ones as soon as you miss them. 6. 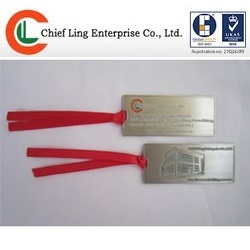 Metal key chains: Some stylish and engraved key chain is always the best for memento. Such as brass and zinc-alloy keychain, coin keychain and bullet keychain whose unique classical nature and exquisite engraving make our certain monumental moments deeper and more impressive. And the steadiness of metal allowing easy maintenance keeps our memories well too. These are just my brief examples. There are hundred kinds of manifold key chains of different functions and styles benefiting people much without taking much space. Their diverse strengths have people couldn't help but keep them for quite a long time, making a good motivation for businesses to promote their brands and products through customized key chain. Some people simply use them to link keys. Some buy acquaintances key chains for souvenirs. And some are crazy for collecting key chains. “A high school student in Georgia, USA had colleted 41418 unduplicated pieces of keychains since 2001.” It's amazing that the attraction of key chains can be so powerful. Found this in Guinness Book of Recods listing many astonishing world records a while ago, I'm still in surprise now. I mean, 41418 is truly an incredible number. I love key chains too and I do know that many people have preference for collection of them, but only in the amount for normal display cases or tool racks! This record keeper, since 2001, had made his collection of keychains including these people worldwide mailed to him after having heard of his special hobby. And in 2007, he was awarded Guinness award by Mayor John Fretti of Valdosta. We can never underestimate keychains, can't we? 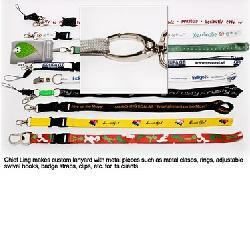 The wide variety of hardware attached to custom lanyard has lanyard a versatile tool. 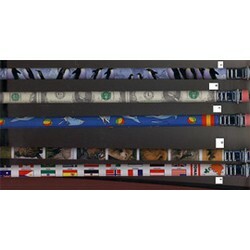 On different occasions, lanyard whose fabrics are printed with businesses' brand names, logos or slogans comes into common use. No matter what kind of occasion it is in, conferences, concerts, fundraisers, or stadium events, lanyard always plays a good role in promotion, safety, and recognition. Mostly made out of polyester, custom lanyards can be custom personalized in designated width, length as well as custom printing. For different demands, custom printing such as dye sublimation, silk screen, hot stamping and the like are all available. Colors of logo and message on webbing can be chosen in accordance with pantone colors as well, such as blue, red, yellow, orange, pink, white, black, etc. However, besides custom printing, another attributor comes to the great variety of hardware attachment. We provide custom lanyards with extremely assorted metal hardware such as metal clasps, rings, adjustable swivel hooks, badge straps, clips, etc.With these metal pieces, lanyard can hold many items such as ID, key, cell phones, ipods, keychains and the like for more additional values. In this way, you can have your selection of custom lanyards varies from badge lanyard, neck lanyard to id badge lanyard, and so forth. 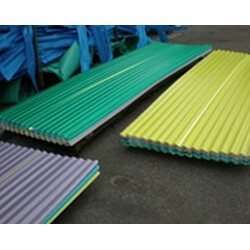 Still, the minimum quantity order changes depending on different material use.